Roullier White is very pleased to be chosen as an exclusive stockist of one of our favourite discoveries from Spain - Hierbas De Ibiza Agua de Colonia Fresca. 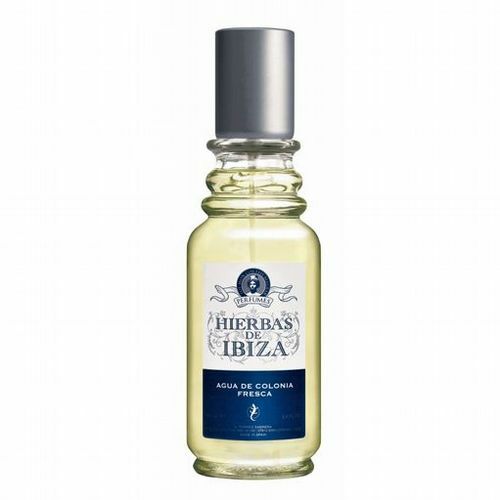 Hierbas De Ibiza Agua de Colonia Fresca is produced in small quantities by the Torres family in Sant Llorenç de Balàfia, the ancient centre of the Island. It is a fresh and herbaceous fragrance, carefully blended from the unique natural flora of the island. It is unlikely that you will ever find a more perfect holiday fragrance for day or night. Fresh and clean, Hierbas De Ibiza Agua de Colonia Fresca is created with sunshine in mind and is an ideal choice for hot weather, here's hoping you find some.